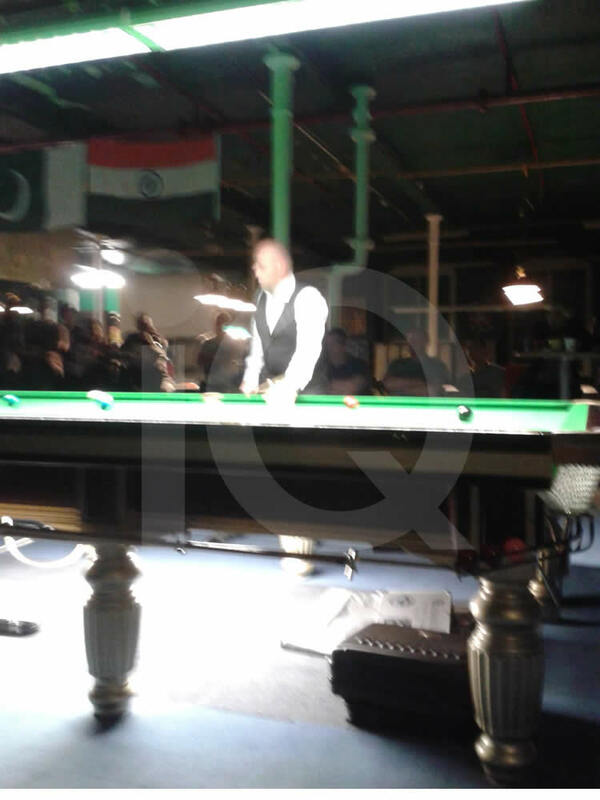 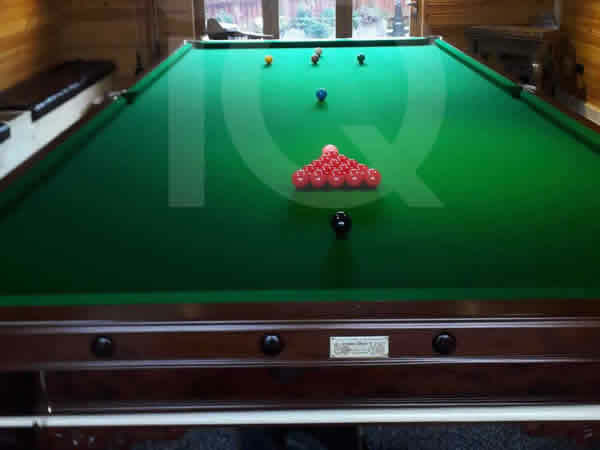 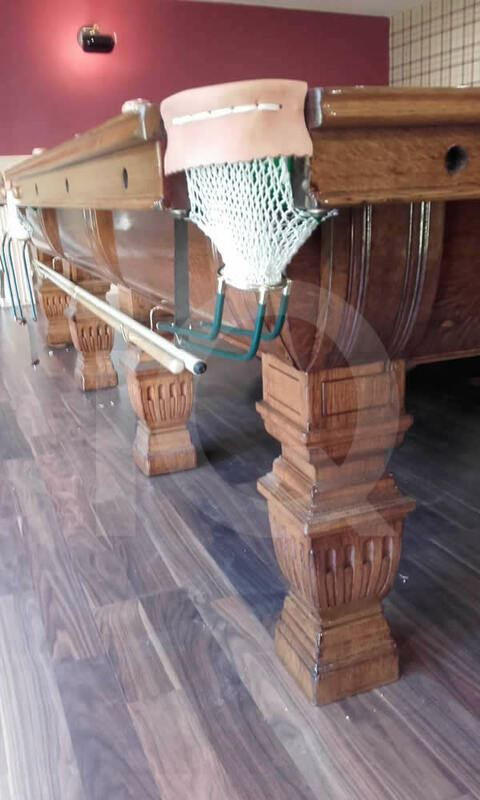 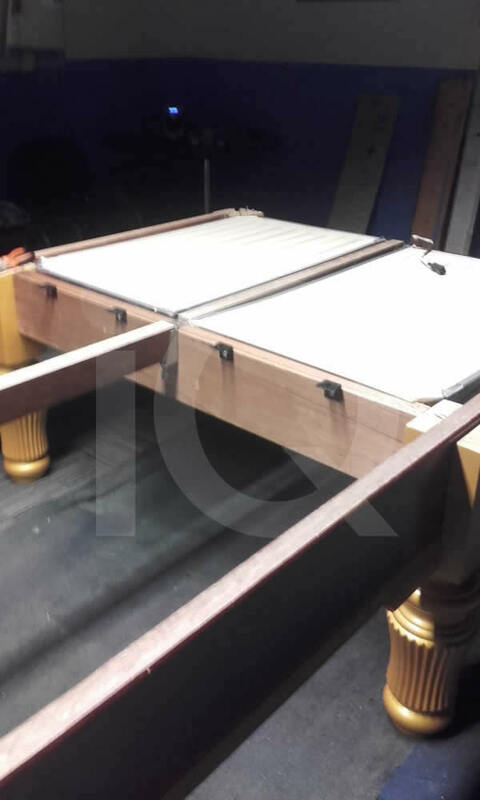 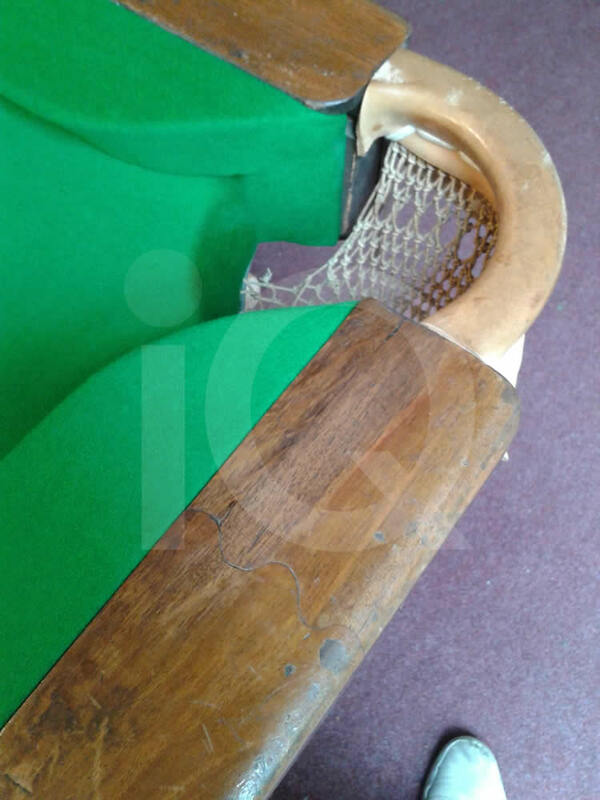 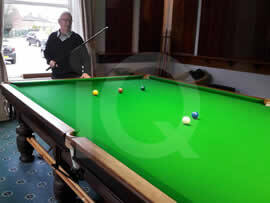 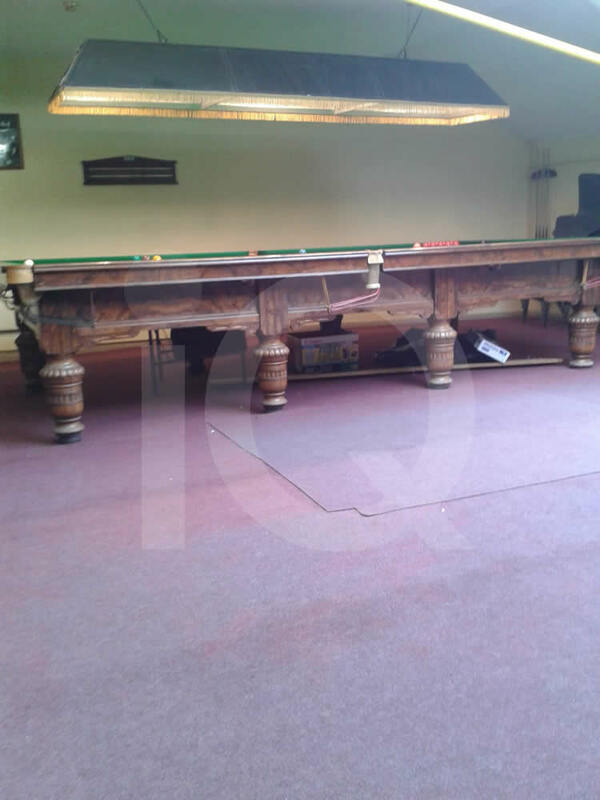 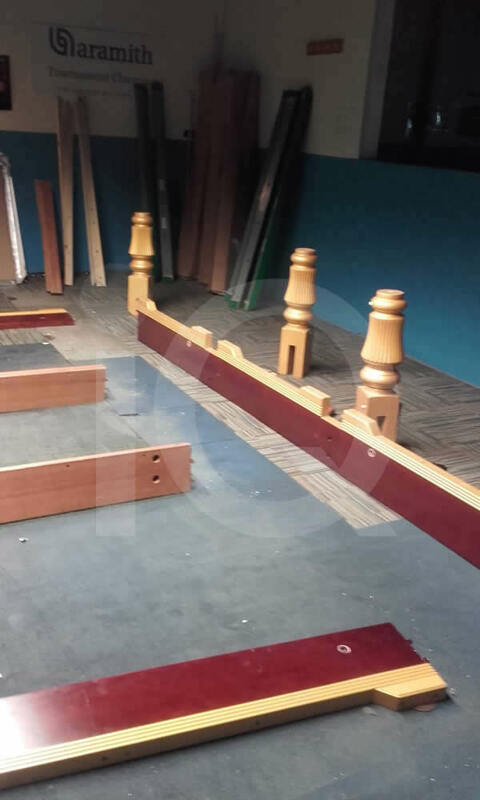 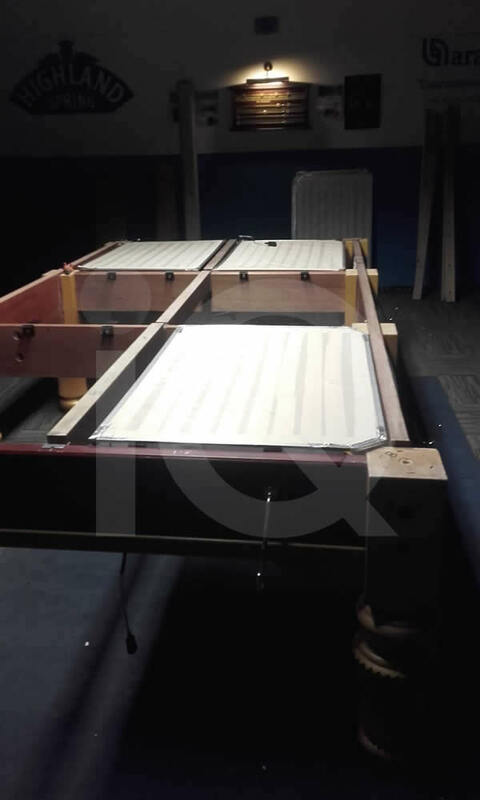 Snooker Table Recovering Nationwide for 47 Years! 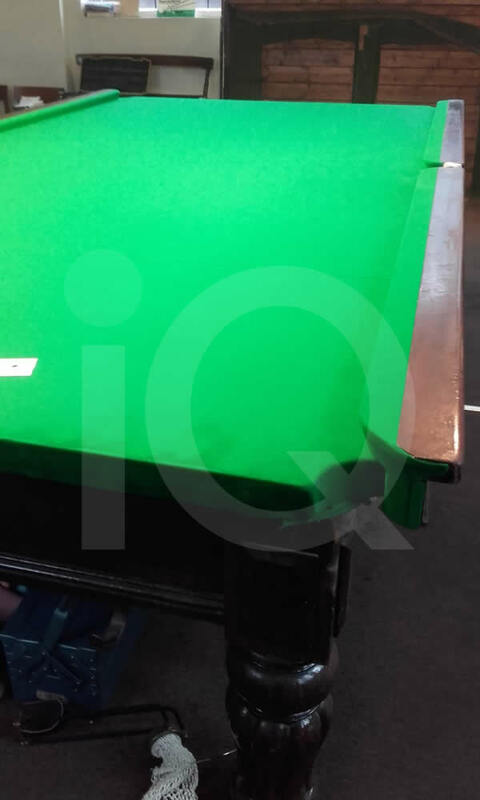 Proven experience and practical knowledge gained over many years is the key to a successful snooker table refurbishment, recover or repair. 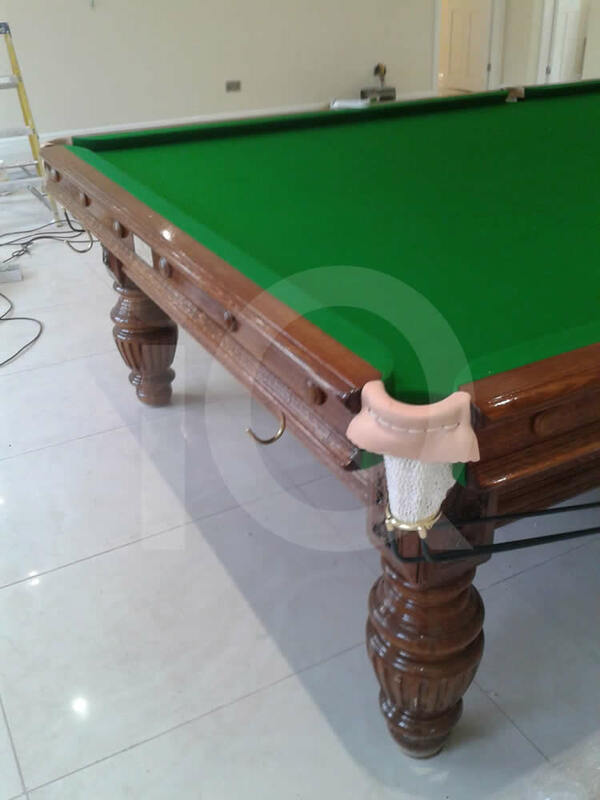 With a vast range of slate bed snooker tables from 6ft to 12ft and with prices from giveaway up to many thousands of Pounds you need a professional craftsman to help. 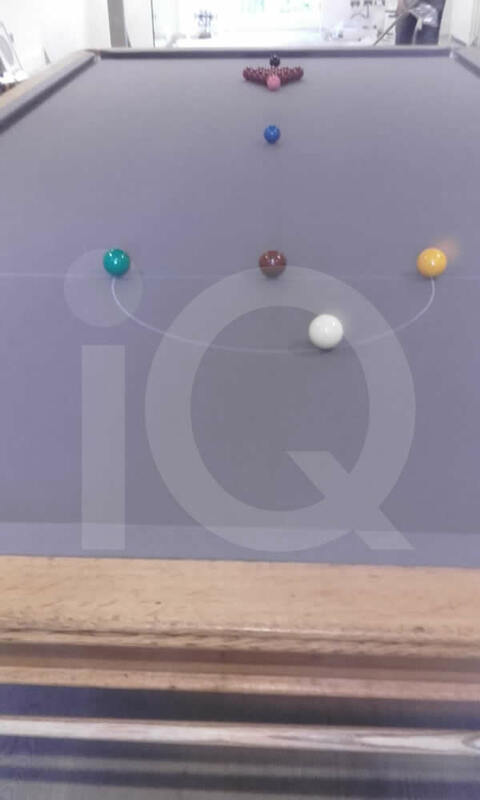 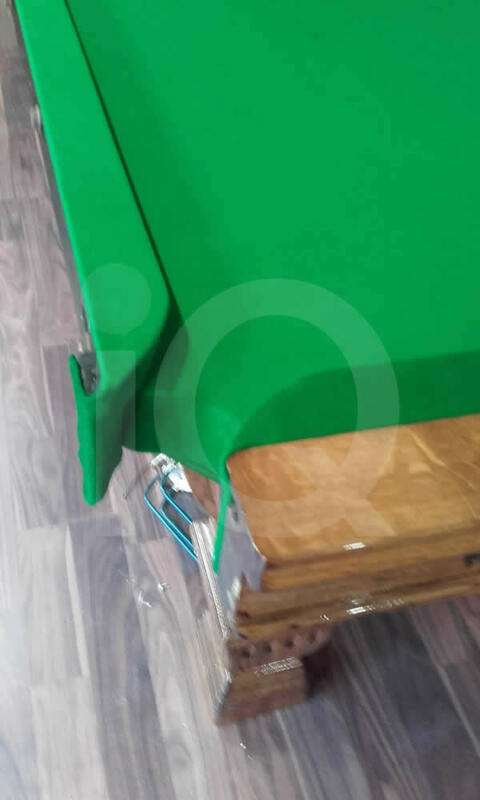 A ‘White van man‘ or the ‘cash in hand‘ weekend specialist will not do as snooker table work is for time served craftsmen who know the industry and know the intricacies of premium quality snooker tables. 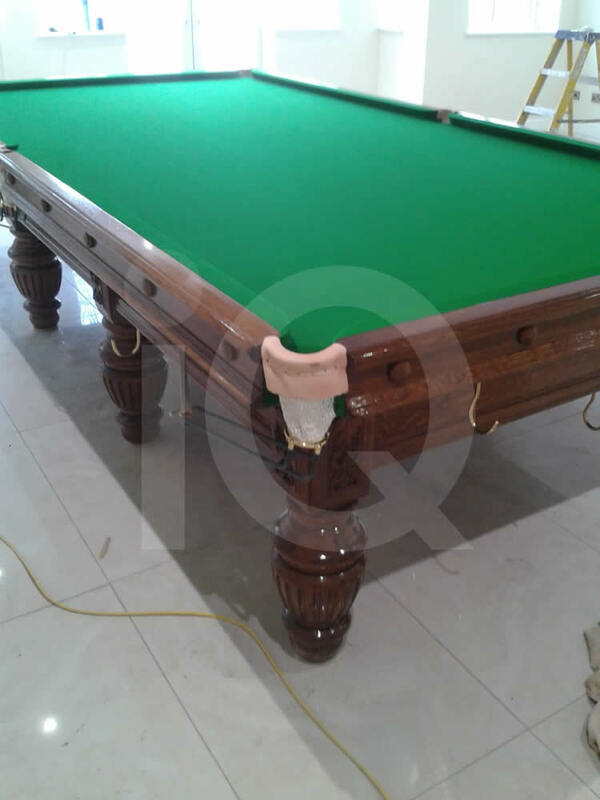 Our skilled craftsmen have proven experience, fine tuned over many decades with practical experience. 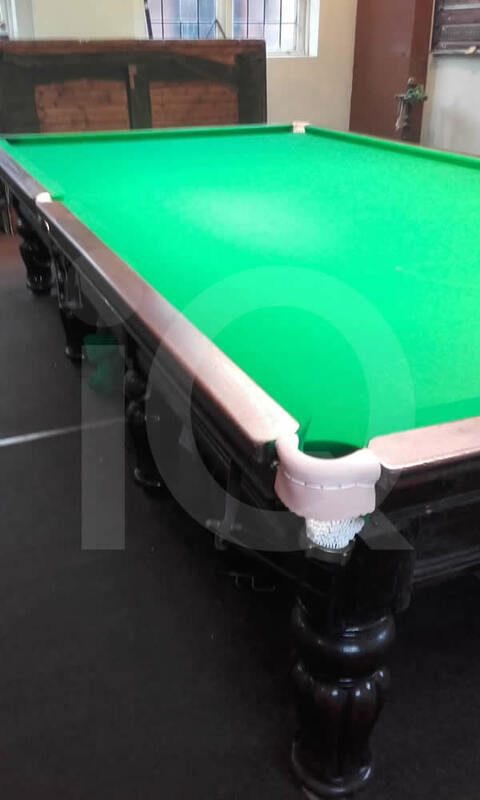 Our senior fitter started out with Raper & Sons snooker table specialists in the 1960s and was involved with setting up and looking after snooker tables at the Embassy Snooker Championships when they were held in the 1970s at Manchester’s Wythenshawe Forum. 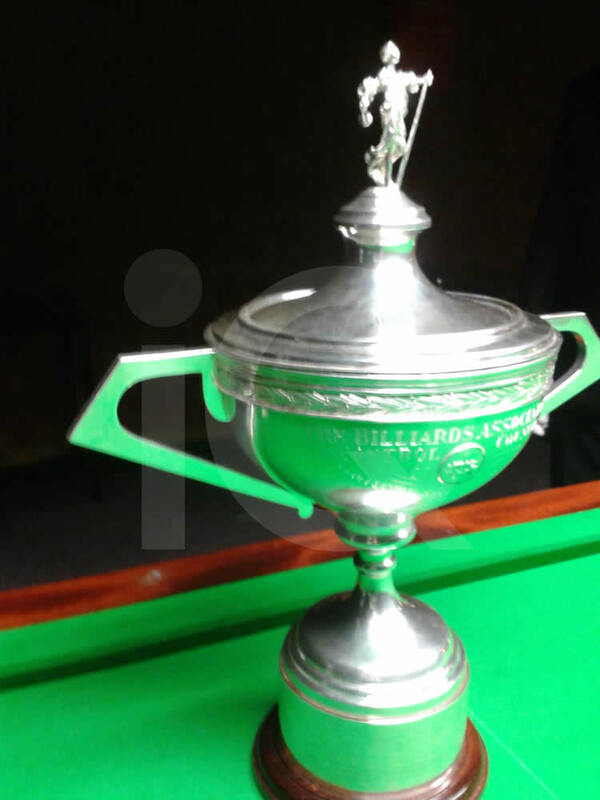 The winner of the 1976 final Ray Reardon won £6000. 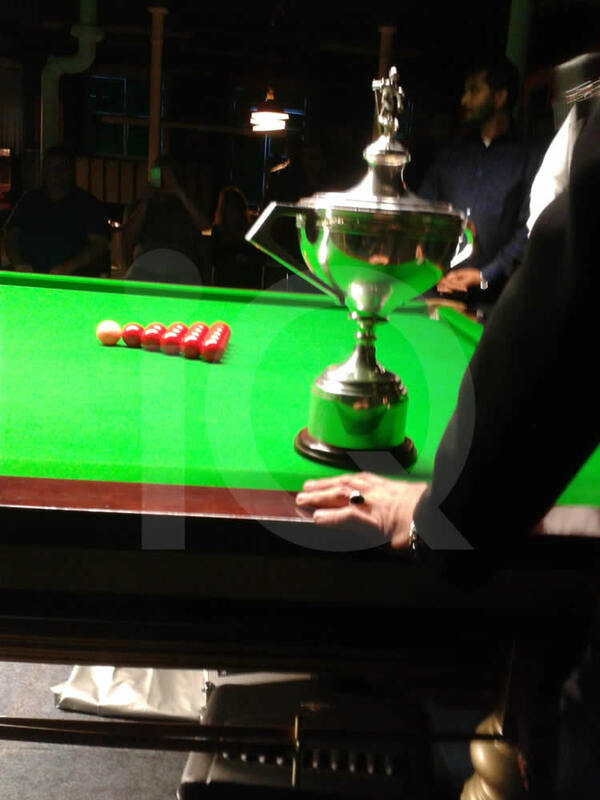 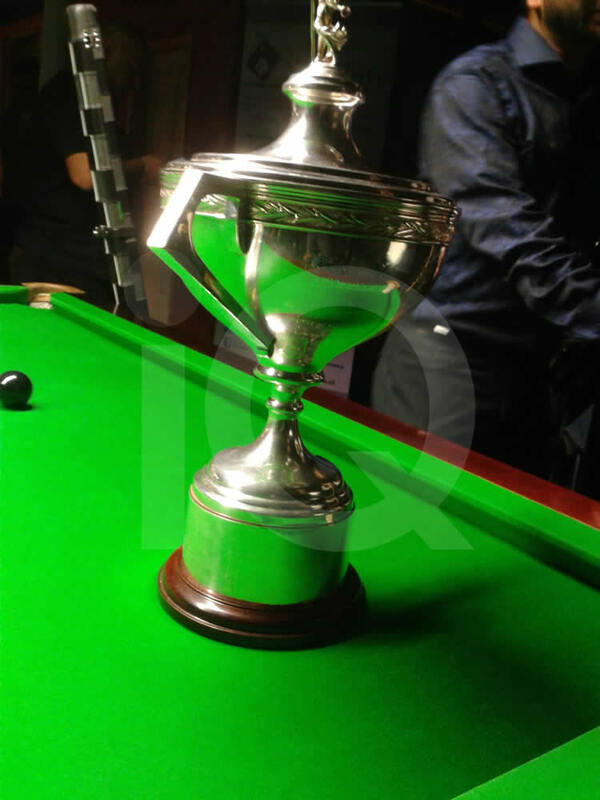 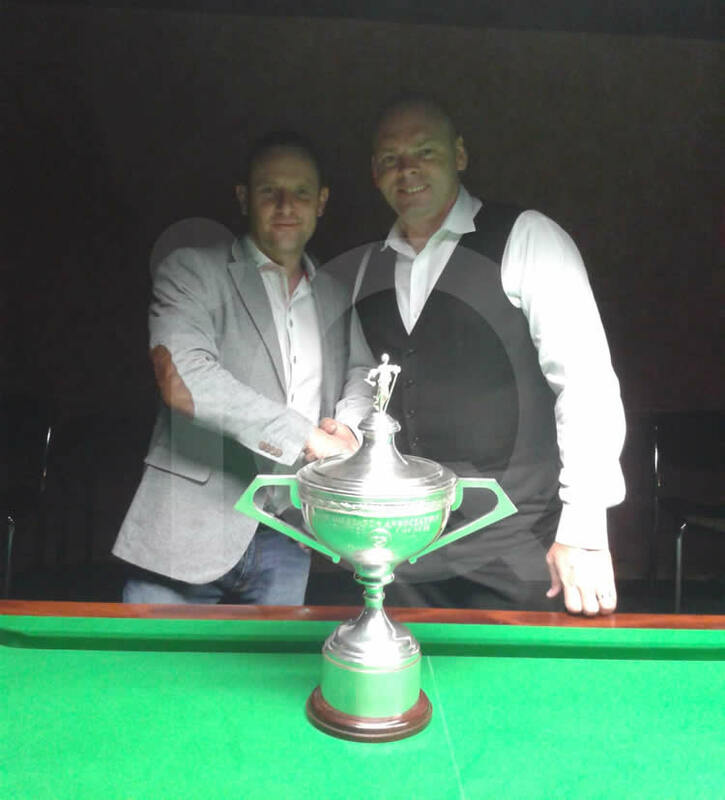 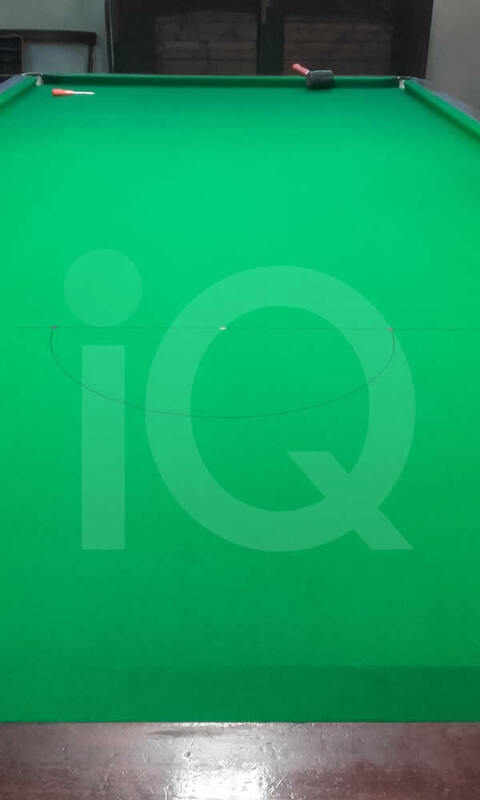 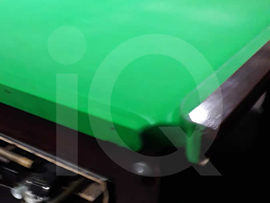 5 decades of experience is priceless and matched by very few in the UK, and much sought after and appreciated by our many of our snooker table clients. 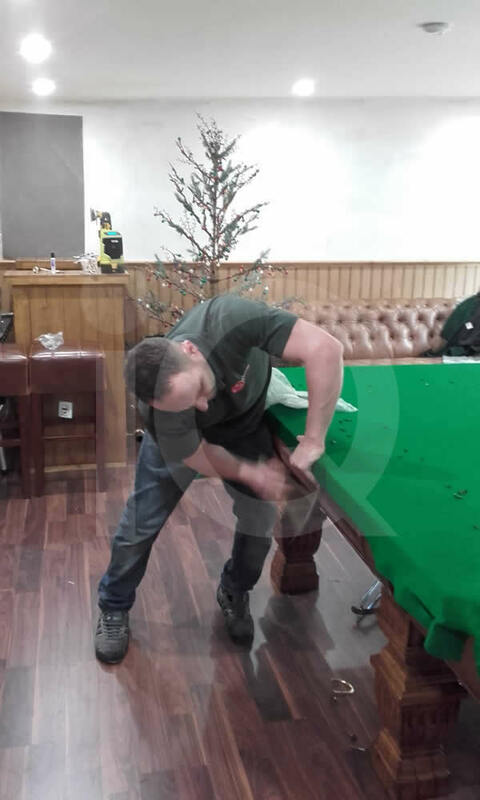 Working alongside our senior fitter is his son: for over 20 years they have amassed vast experience working on all types and makes of snooker (and pool) tables. 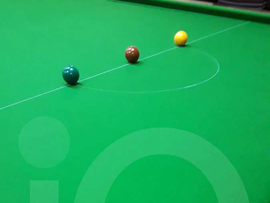 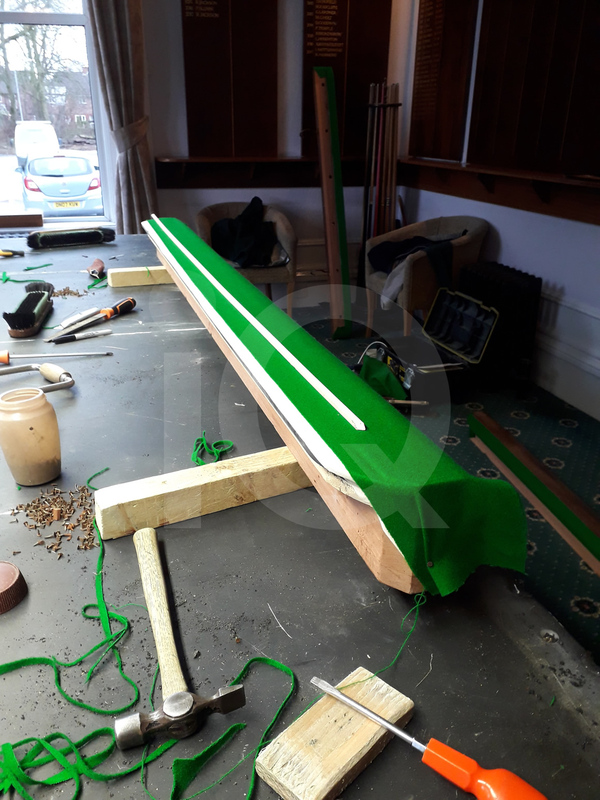 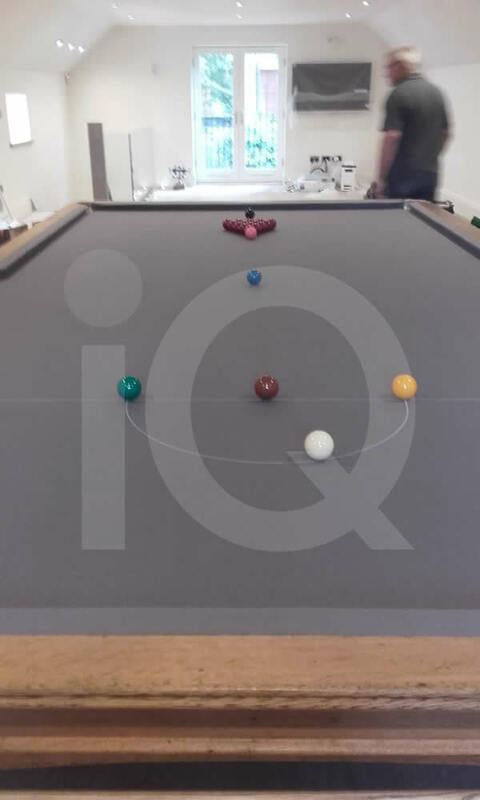 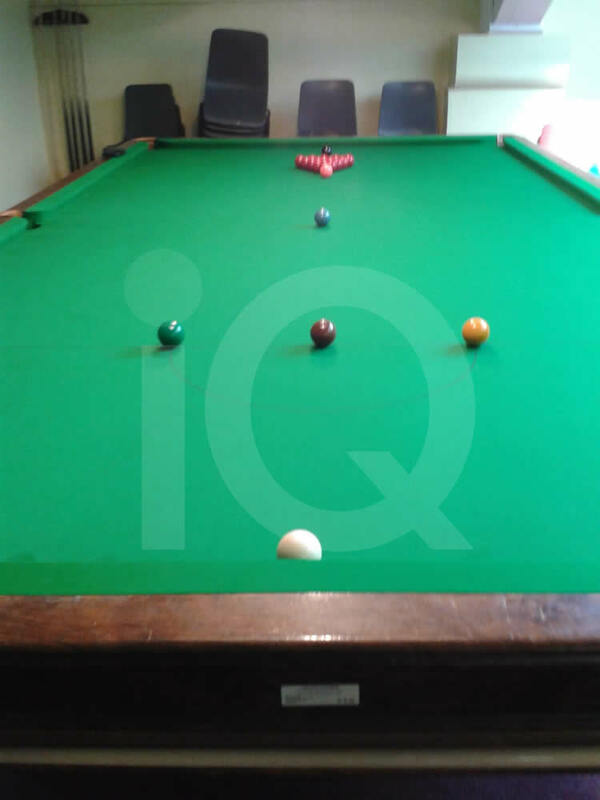 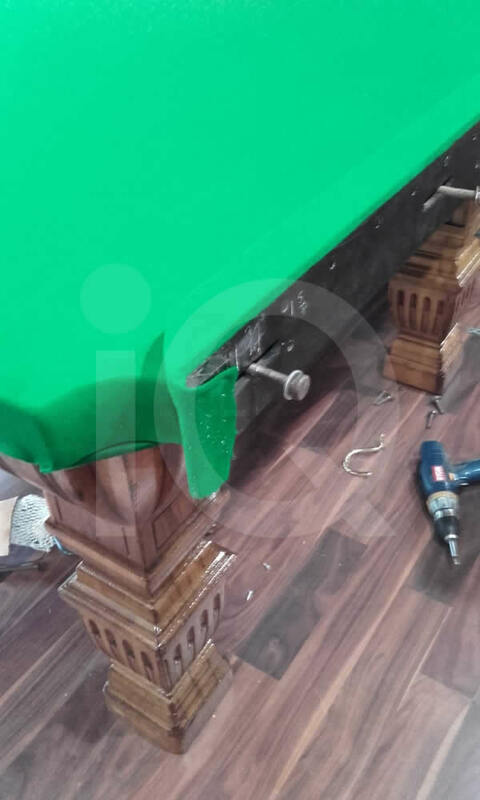 Any size of snooker table — from 6ft to 12ft, any make, any condition and we can help, advise and give unbiased advice on the work needed to bring your table up to optimum playing capabilities. 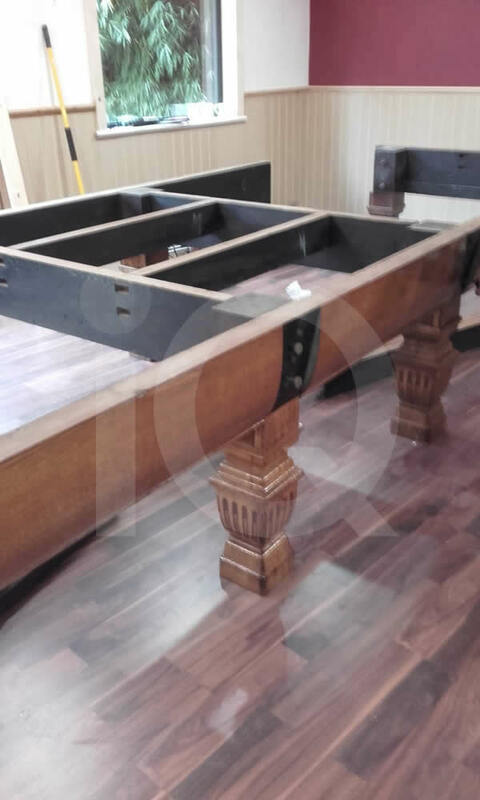 Sold your table or moving house ? 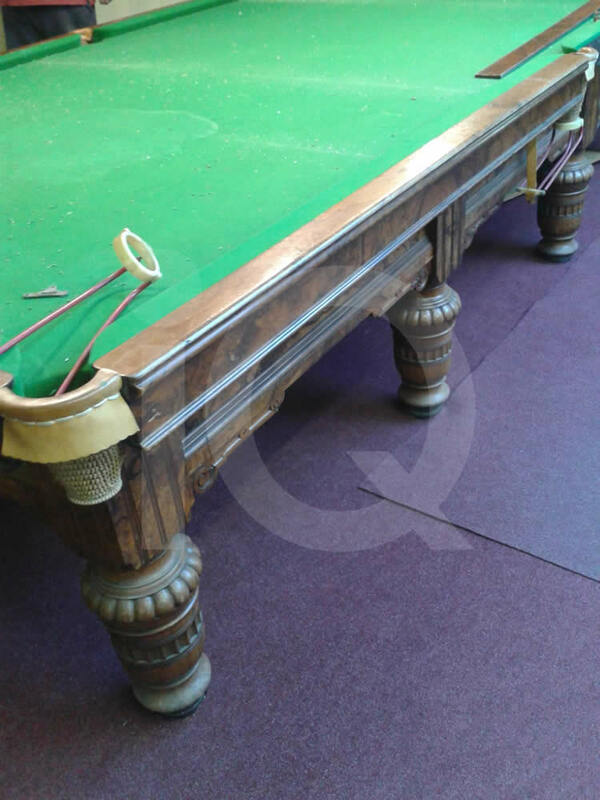 We strip down snooker tables of all sizes and can then reassemble at another location or leave table stripped down in situ ready for collection if sold. 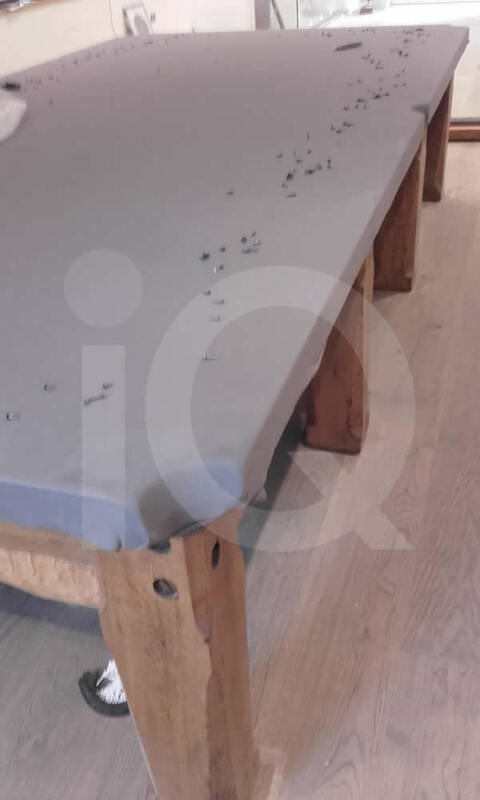 With many tables having 5 or 6 pieces of 2-3 inch thick slates this job has to be ideally completed by craftsmen fitters especially if it is to be re-assembled by us. 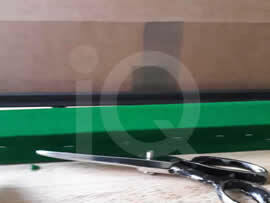 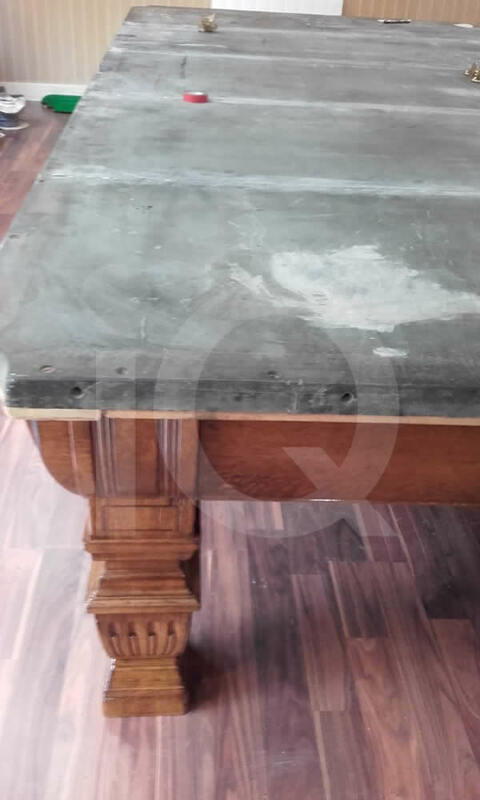 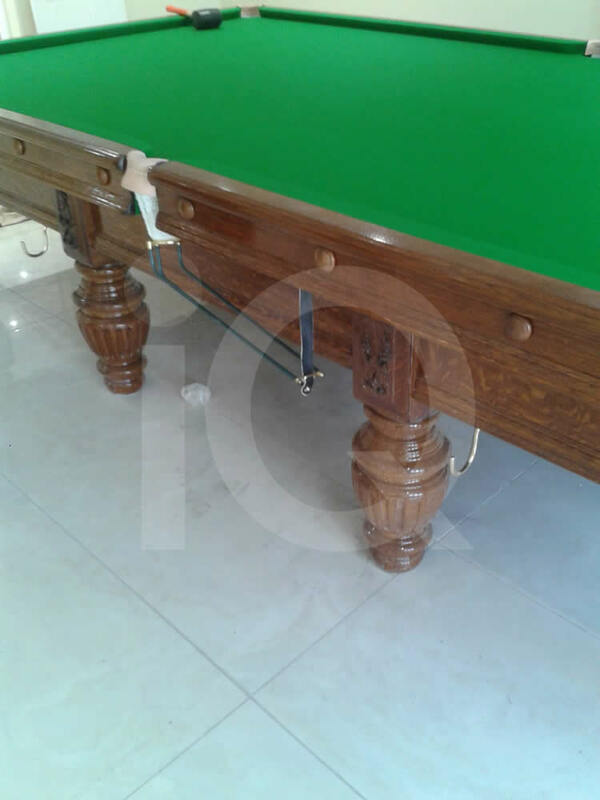 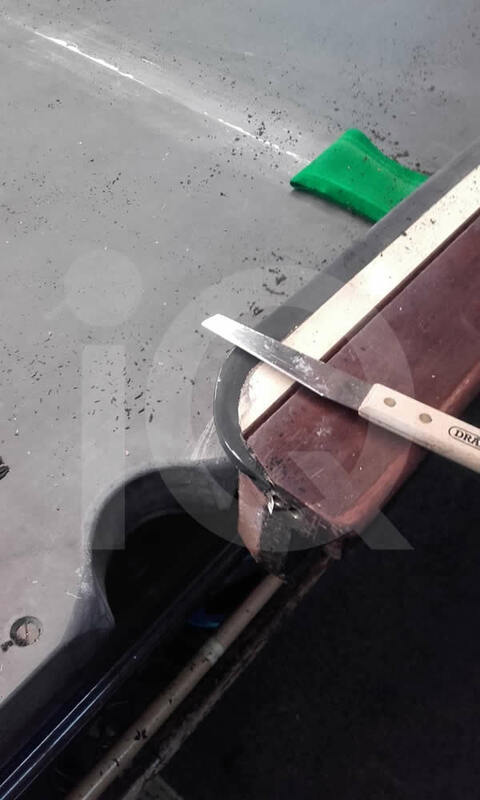 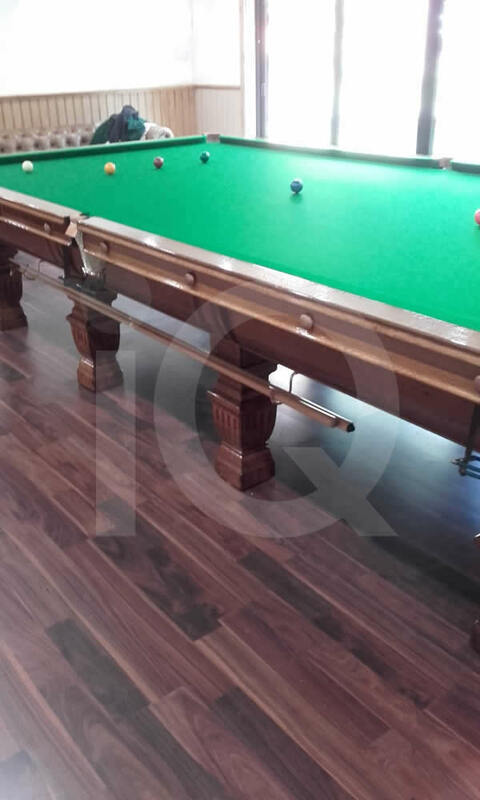 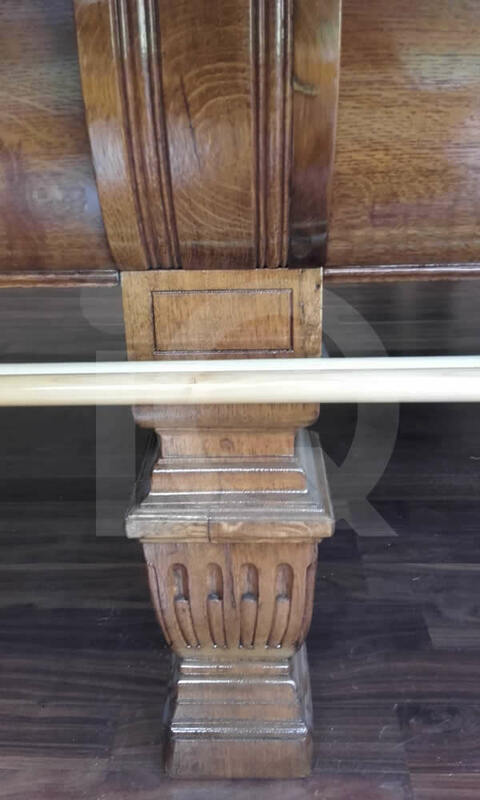 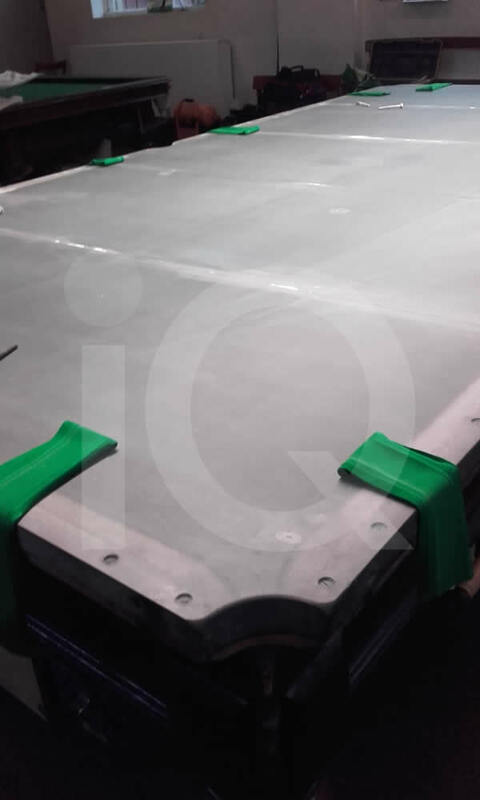 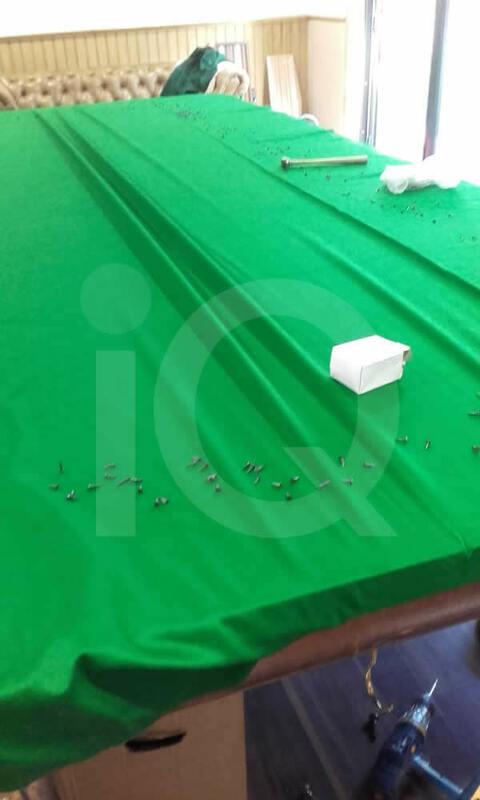 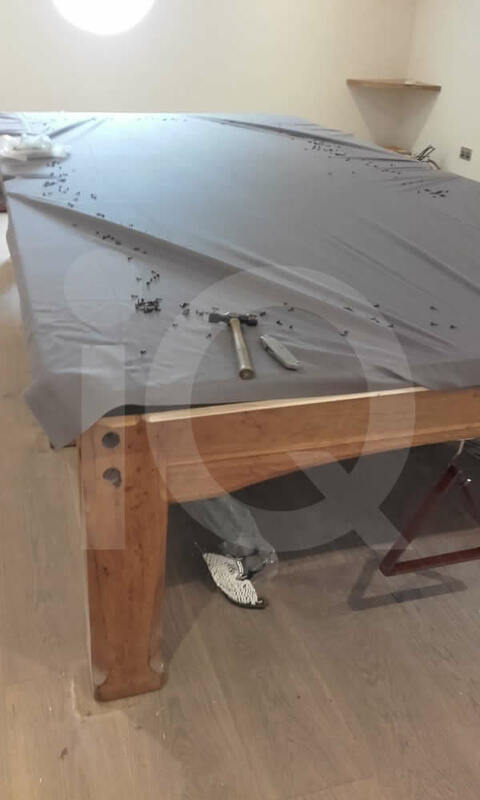 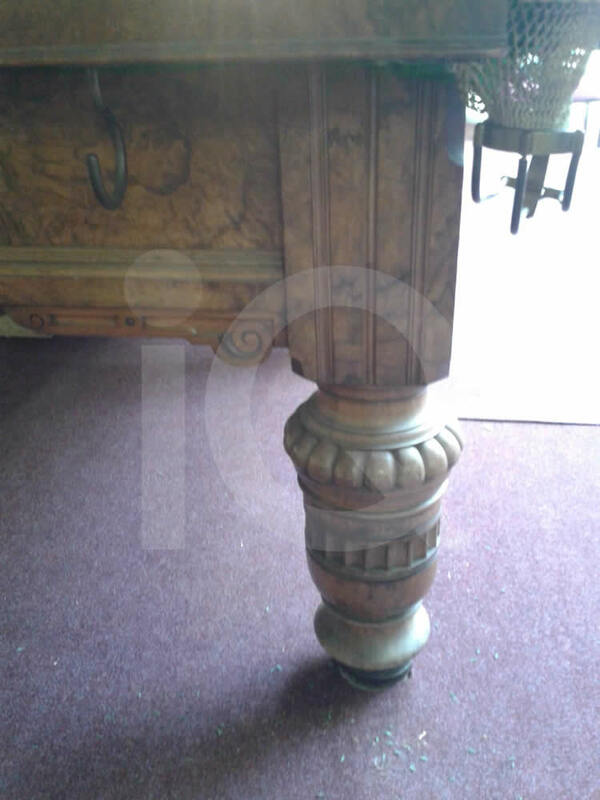 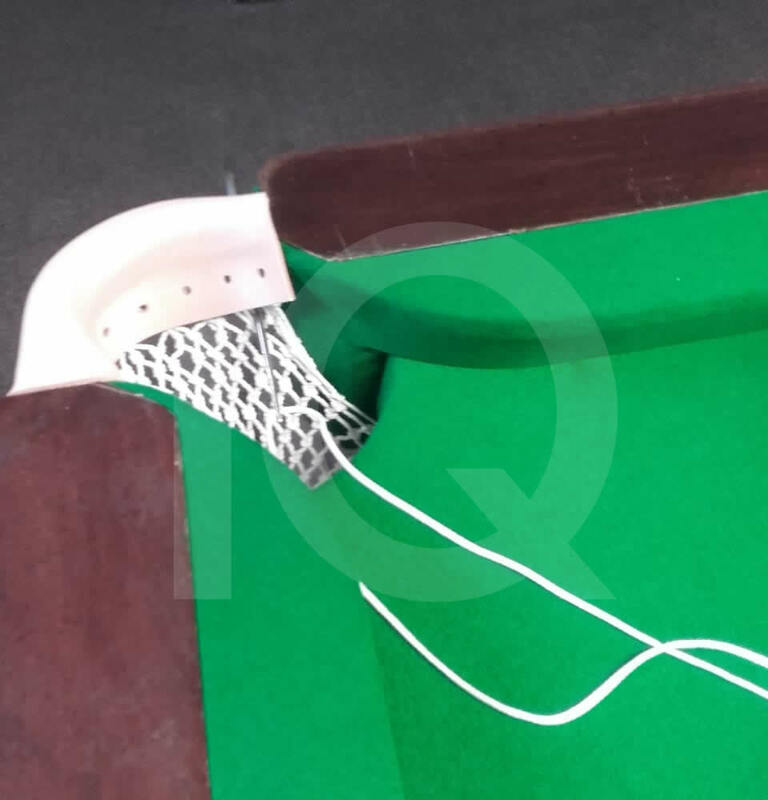 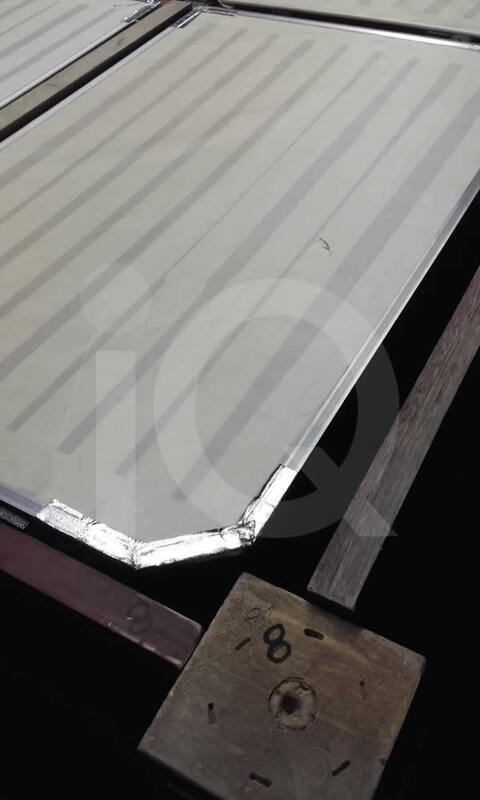 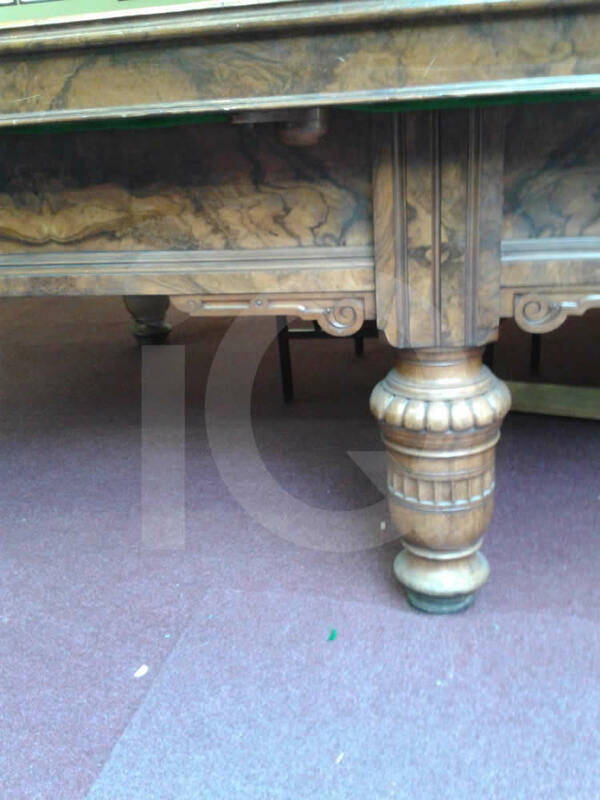 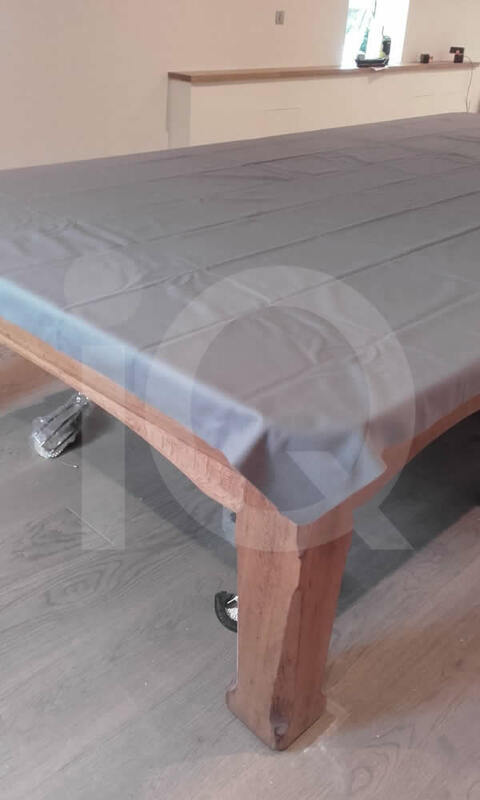 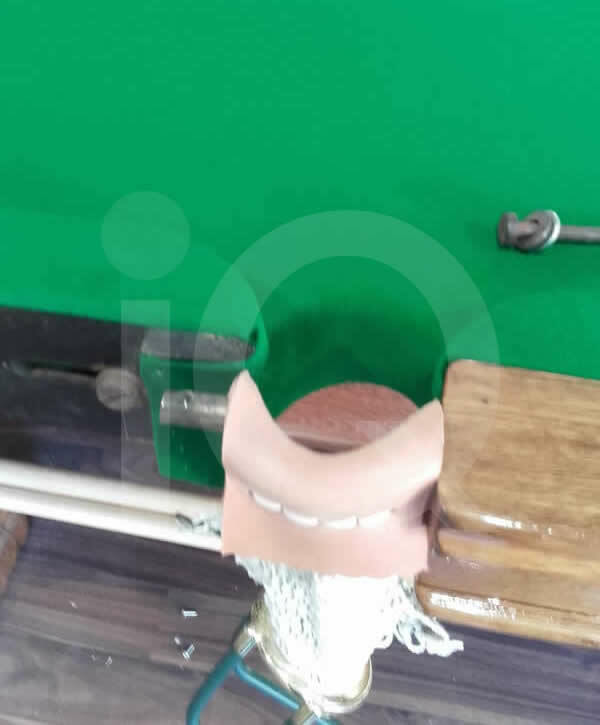 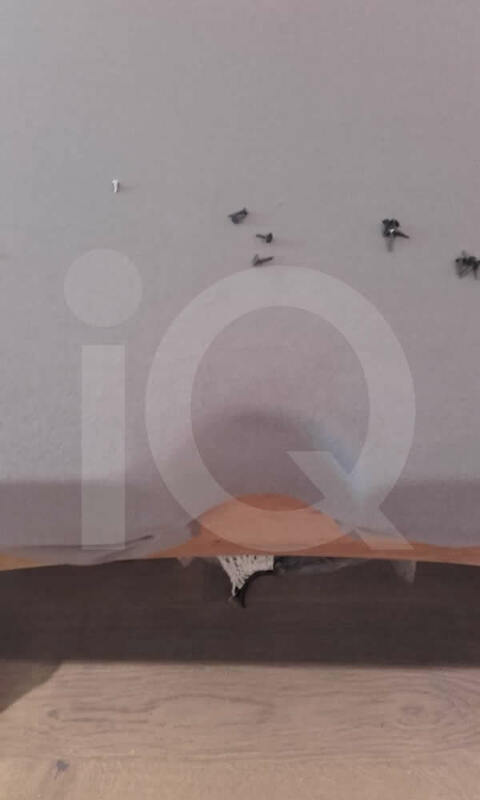 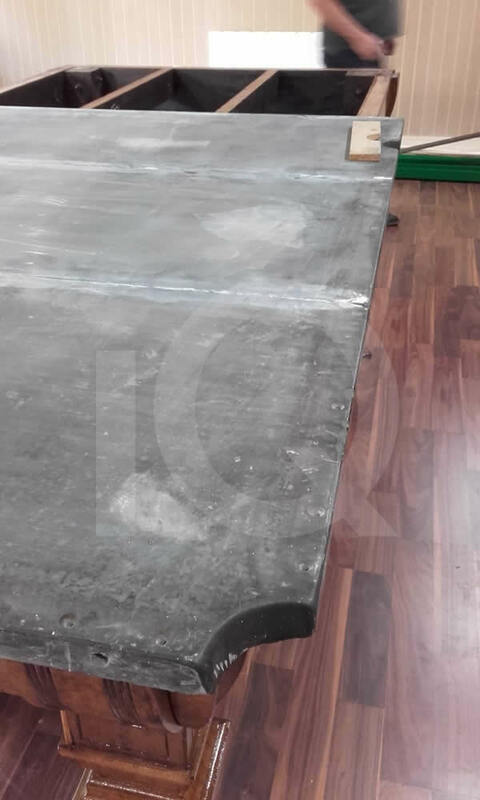 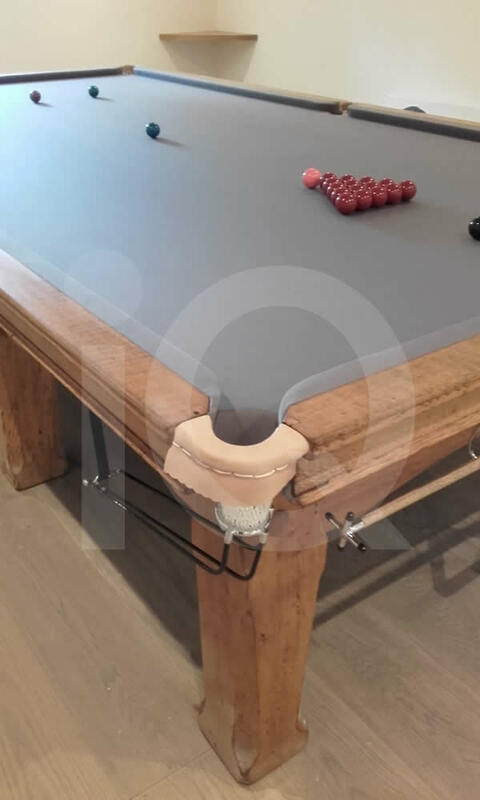 We would note all table components and note table condition regards leather pockets, ball rundowns, main table frame and, cushion rubber, general, stability, condition of slates and overall condition assessment. 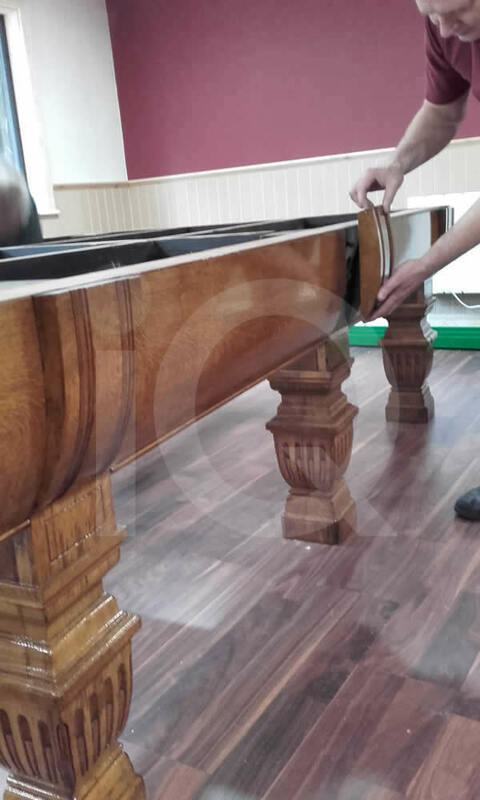 Need a short term solution due to building work, decorating etc ? 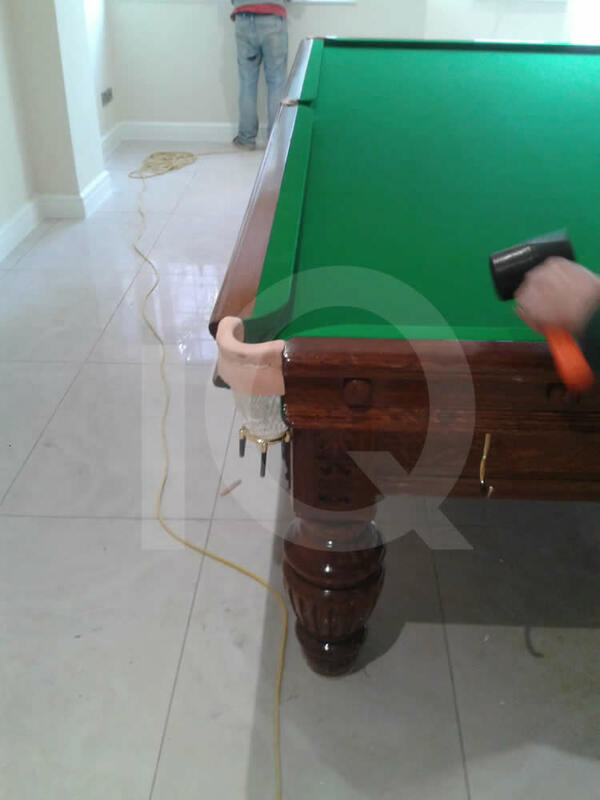 We will gladly strip down and refit the table when required. 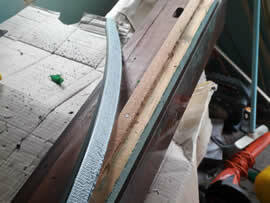 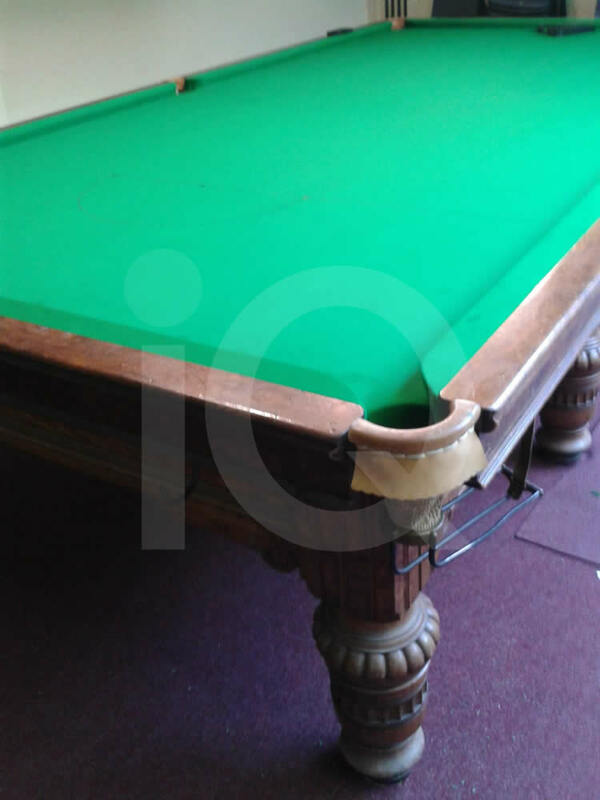 Snooker Table in a Poor State, Not Level, Unresponsive Cushions? 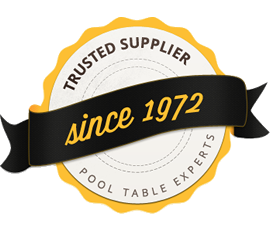 We will gladly give you the benefit of our experience regards costing and evaluation of the work needed to revitalise your table. 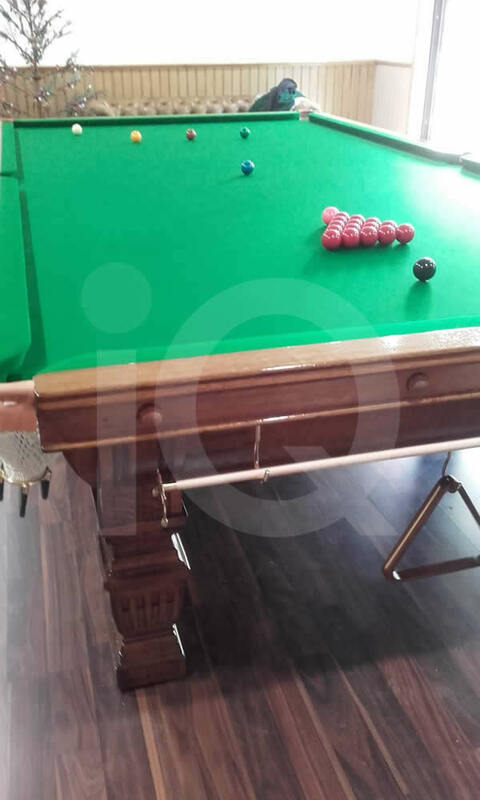 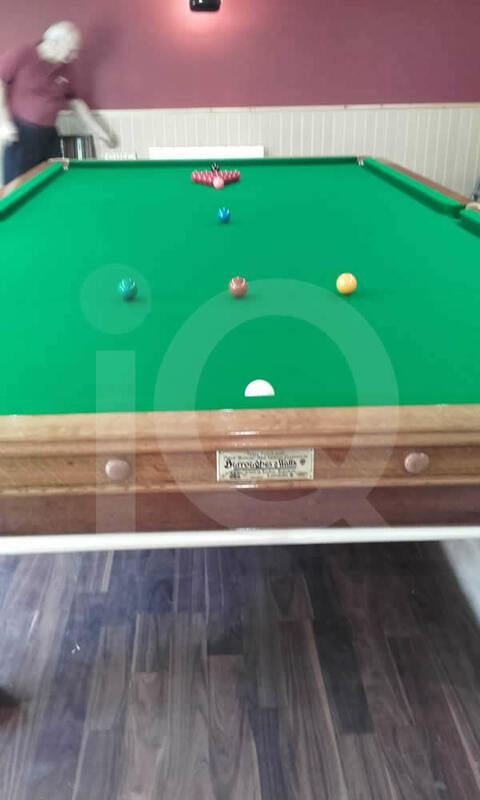 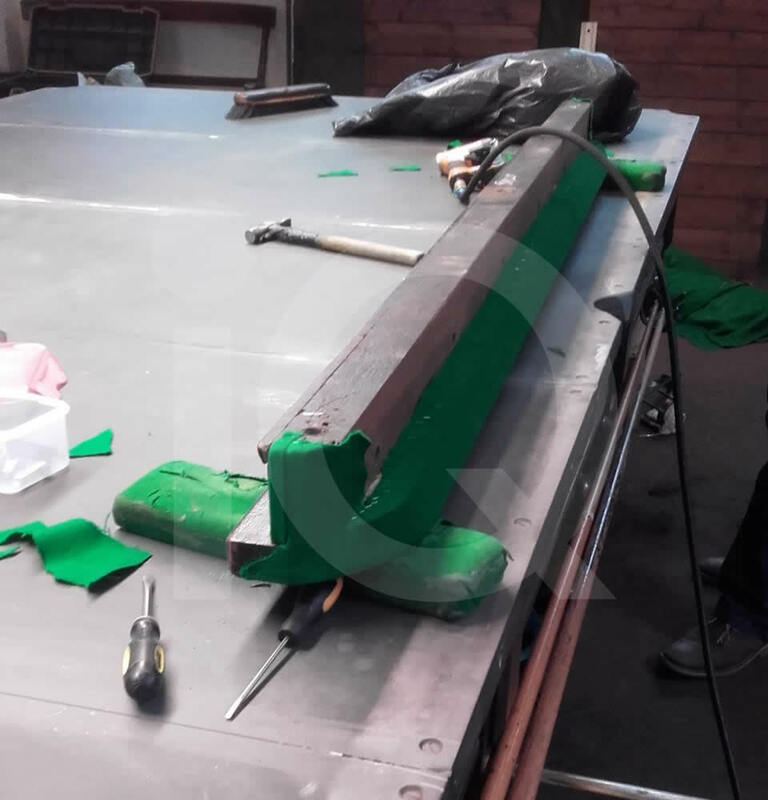 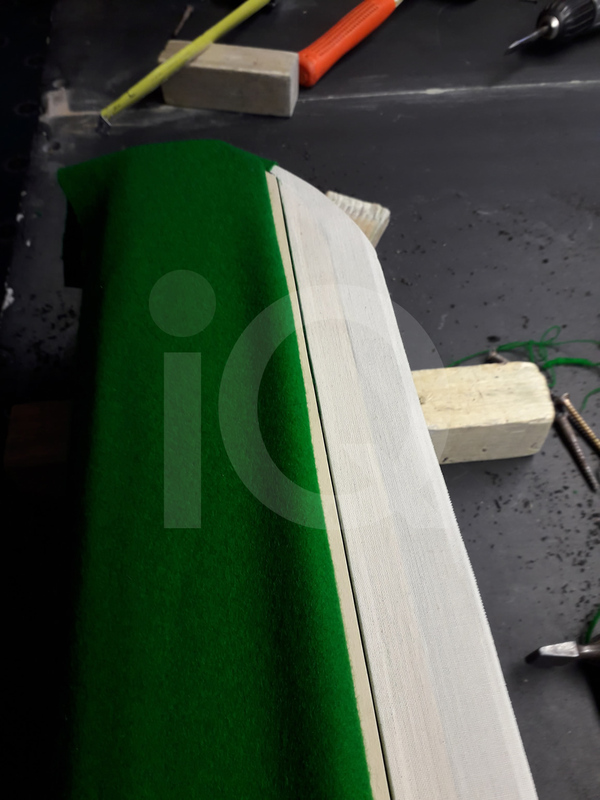 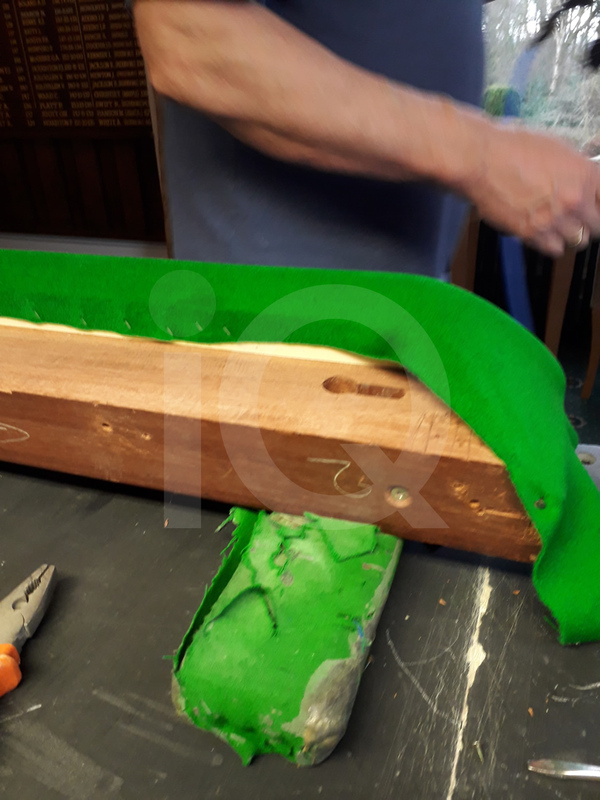 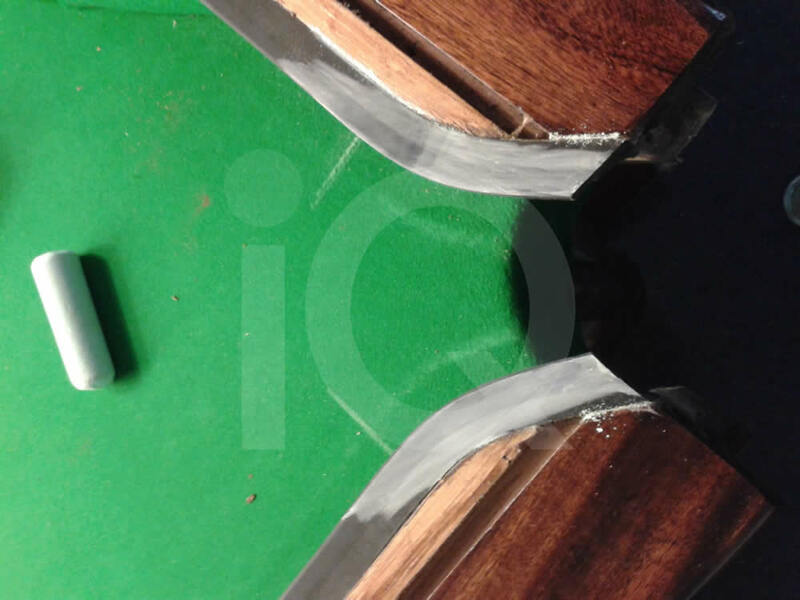 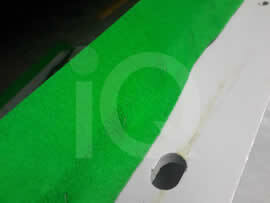 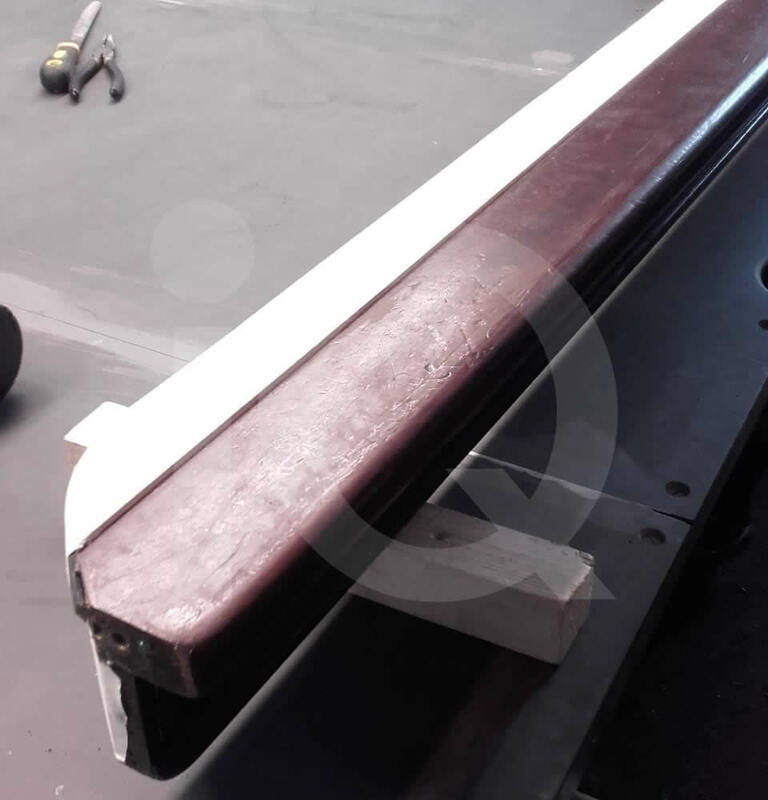 Leather pocket liner replacement, ball rundowns, refitting of cloth, cushion realignment, replacing of hard rubbers, work needed on frames are aall part of our comprehensive snooker table care service.